If you love both dogs and gardening, you probably have already asked yourself: are there dog safe plants out there? Given some dog’s propensity to much on leaves and sniff around in the dirt, you might even want to take it a step further: creating a dog-friendly garden. It’s important to remember that many plants that are edible or even medicinal for people are toxic to dogs. While your dog might not enjoy the vibrant colors that you love, it’s actually possible to plant and grow a garden that is safe and enjoyable for your dog. How Do I Keep My Dog Away from My Plants? Even if you’ve got dog safe plants, you probably don’t want Rover digging in the flowerbeds or Fluffy munching on your herb garden. Keeping your dog away from your houseplants or garden is a good first step. Ursa suggested avoiding the use of buried or invisible fences if at all possible. These fences generally work using a vibration, shock or other stimulation to tell your dog “no, not there!” While this can be effective, it can also inadvertently teach your dog to be scared of flowers, beeping sounds, or butterflies. A physical fence has the added benefit of keeping wandering wildlife out of your garden as well — not just your dog! That’s why an actual fence is the best way to go when trying to keep your dog out of your garden. There’s a lot of common houseplants and garden plants that are dangerous to your dog. If your dog has the tendency to eat things that they find, it’s extra-important to avoid toxic plants. If you’re not sure what plants are growing in your garden, be sure to check out our guide on identifying plants in your garden. That will help you ensure that you have safe plants in your garden right now! Even if your dog isn’t the grazing type, it’s important to avoid toxic plants. Even drinking water from a vase that held toxic plants is enough to send your dog to the vet with vomiting, diarrhea, or worse. As a professional dog trainer, I can tell you that almost anything that’s within reach of your dog will be tested by your pet. Even if you think that your plants are safely out of reach, you’re probably better safe than sorry! Rather than avoiding the most dangerous plants, though, it’s often easier (and safer) to concentrate on including dog safe plants instead. 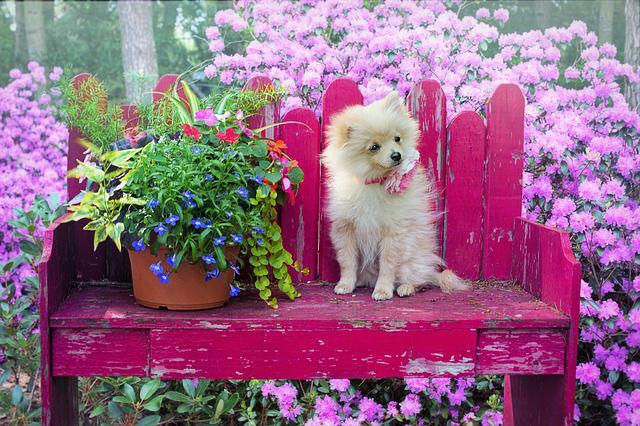 While the list of dog safe plants might look comparatively short, it actually includes many popular, easy-to-care-for, and striking flowers that will make your dog safe garden look amazing. There’s a nice variety of heights and colors among these flowers, making it a great starting point for your dog friendly garden. But what if you want to take it a step further and ensure that your dog actually enjoys your garden? How Can I Make a Dog-Friendly Garden? 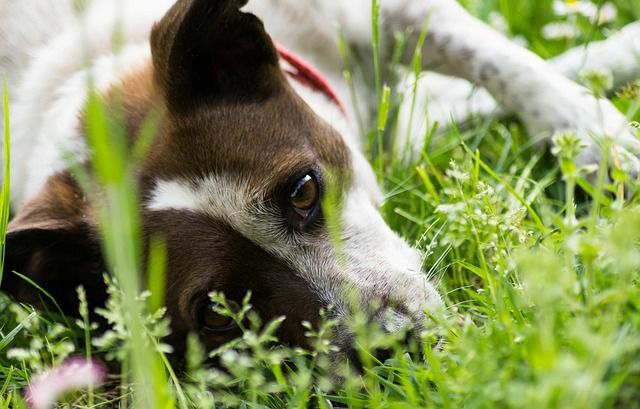 If you’re lucky enough to have a dog, you understand the meaning of “man’s best friend.” There are many ways to make your garden extra dog-friendly, beyond just being non-toxic. Dogs experience the world largely through scent. Dog-friendly gardens are also commonly known as “sensory gardens.” You can use a mixture of many of the dog safe plants above to create a safe garden that your dog can explore and sniff. Even if you’d rather not let your dog explore your “main” garden, you can plant a few spares along the side of your house to let your dog sniff. Aside from scents, many dogs will also enjoy gardens with a variety of textures. Add in some cedar chips, cobblestones, ornamental grasses, or even a bed of hay to keep your dog’s senses engaged. You can also hide treats or toys near the plants. This will help keep your dog from digging (because he’s got something better to do). Many dog trainers will also recommend putting a sandbox in a corner of your yard where your dog is encouraged to dig. This will keep your dog focused on doing this natural activity in the “right” place. If you’re not into that, just follow Ursa’s advice (the dog trainer from Denver): she plants extra cucumbers, squash, tomatoes, pumpkins, and carrots every year so that she can have some dog safe treats at the end of the year. Her dog Ruckus used to eat tomatoes right off the vine until he passed out in the middle of the garden! Does your dog love your garden? We want to hear about your dog safe and dog-friendly garden ideas! This article states that mint is dangerous for dogs, but then suggests it as a good sensory plant because they love to smell it and its good for their breath. So which is it? Good catch, Lisa! I did a bit more digging and it turns out that I misspoke earlier – most species of mint (like wild mint, peppermint, and spearmint) are totally safe for dogs (and are even ingredients in some dog treats). But English Pennyroyal mint is dangerous for dogs! So just to make sure I understand. The tomatoe plant its self is bad but the tomatoes are okay? I’ve been advised by many vets that lavender is toxic for dogs. We believe one of ours actually had a seizure due to chewing some in out garden when we first moved in. The research that I’ve done has shown that lavender plant is safe for dogs, but toxic to cats. Lavender essential oil (and all essential oils, really) needs to be carefully diluted before use for animals. Lavender does contain the noxious chemical linalool, but the plant itself should be safe for use around your dog because it’s in such low quantities. How about impatients? It seems to be the only thing that groes in my yard. According to the ASPCA, it’s non-toxic for dogs and cats. I read Daylillies are toxic to dogs and cats. Is this true? Daylilies are not toxic to dogs, according to the ASPCA. However, True lilies (Lilium spp.) look very similar to daylilies and are extremely toxic to dogs. You can read more here.